So this will be another short one I’m afraid, but I wanted to share a quick update. 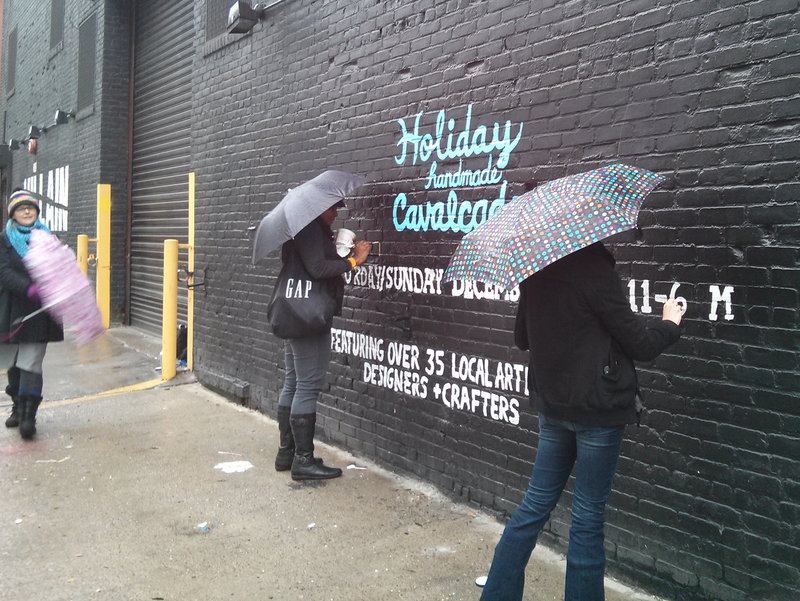 One thing that makes the Handmade Cavalcade special is that it is 100% run by members of the New York Etsy Team volunteering their time. Part of the way this is organized is that all of the vendors are assigned to subcommittees to make sure that all the work is divided up. I was assigned to the mural committee. I’m not much of a painter, and when I woke up to heavy drizzle I was less than enthused. Fortunately, Michelle of My Zoetrope had everything organized and set to go. All we had to do was fill in the outlined letters. There will be crystals and penguins too I believe, but those will wait until better weather. I was also very lucky to have my artistically-gifted sister in town visiting me. 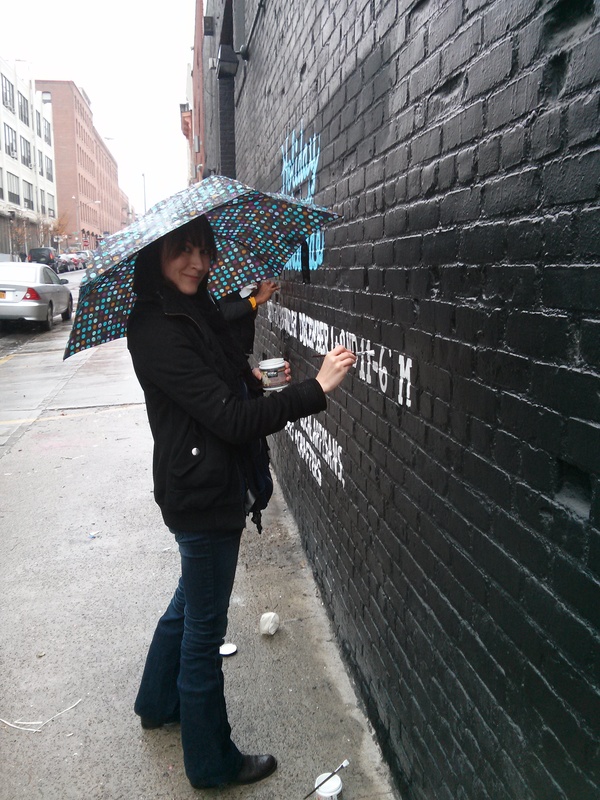 She helped out with the lettering and we finished pretty quickly, despite the cold and the rain. Only a few more days until the Cavalcade, coming up this weekend!